Increasing miniaturization in the microelectronic sector has created inevitable facts: In the future, structures on microchips and on other components will have to be manufactured by means of lithography in the EUV range, which means using extremely short wavelengths of just 13.5 nm. For test measurements, the Physikalisch-Technische Bundesanstalt (PTB) and the world's largest supplier of lithography systems for the semiconductor industry, the Dutch company ASML, have put a new test beamline into operation at BESSY II in Berlin. This is a continuation of the successful collaboration between the two institutions that began several years ago. One of PTB's main activities in the field of metrology with synchrotron radiation comprises cooperation projects with German and European industry for semiconductor manufacturing equipment based on the development of EUV lithography. A cooperation project with the leading supplier of lithography equipment, ASML, began ten years ago in 2007 with research on new types of EUV photodetectors. Since then, the scope of this cooperation project has continuously expanded and now encompasses EUV reflectometry, materials characterization, and lifetime testing. In 2016, ASML and PTB agreed to significantly extend the lifetime testing capabilities of PTB by setting up a new, dedicated test beamline. ASML provided the focusing optics and the vacuum system for the sample environment. 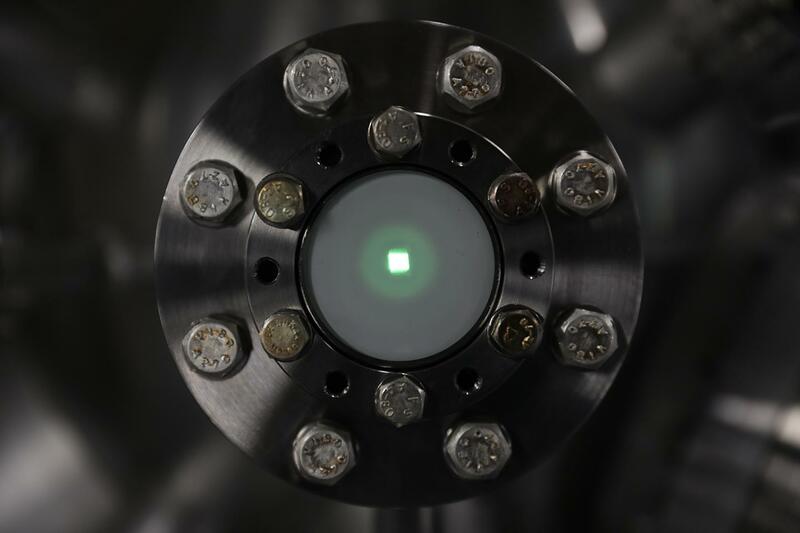 The optical system was designed to allow the irradiance to be adjusted at the samples according to the specifications of present and future EUV lithography machines. Recently, installation of the set-up has been completed, and initial test measurements have been performed at a technologically relevant irradiance level. "The technology's roadmap for the future starts with fundamental research conducted both inhouse and with the help of world-class research partners such as PTB. This collaboration allows us to experiment with, design and verify our innovations, years ahead of their potential industrial use", says Wim van der Zande, director of physics and chemistry at ASML's research department. "Cooperation with leading industrial partners such as ASML is important in order to obtain information on relevant metrological requirements. This information helps us direct the further development of PTB's measurement capabilities and improve our metrological services and support for European industry and research", says Frank Scholze, head of the EUV radiometry group at PTB.